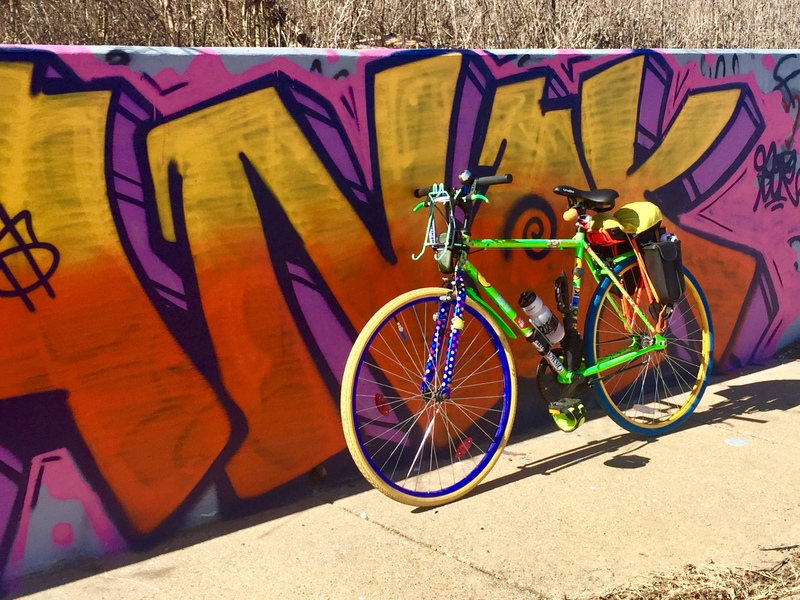 On Sunday I set out on my single-speed bike and just started riding. With almost no wind and sunny skies it was a day made to wander. After I stopped for lunch I found myself tired, full, and 25 miles from home, so I coasted into the nearest train station for the return trip. 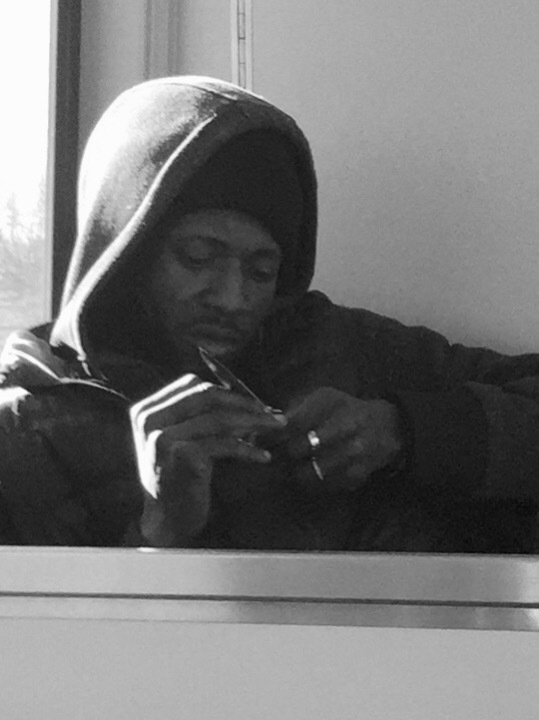 I looked up to see this guy twirling and playing with a large switchblade knife directly over the head of an unsuspecting passenger. Just then a fare enforcement officer came through the cabin. 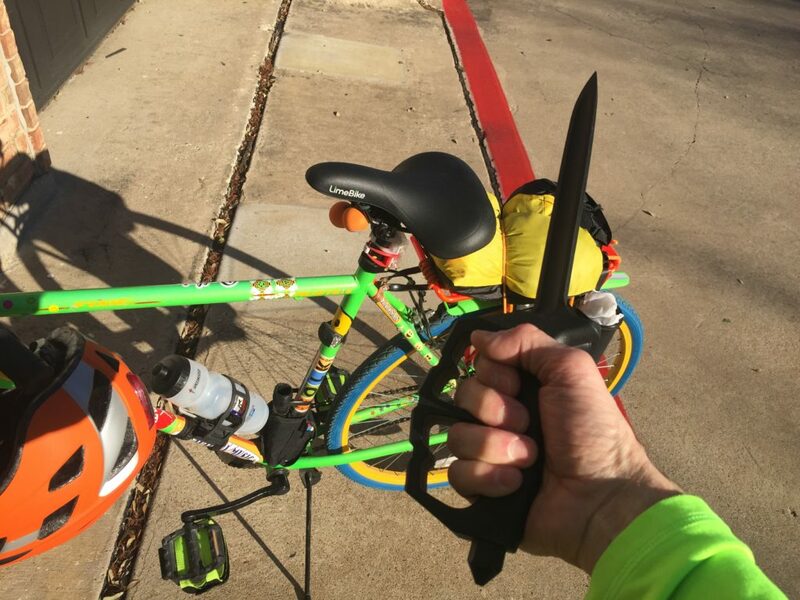 I tried to point towards the bad dude and get his attention, but nothing short of yelling “you see that guy’s big knife?” would have been heard over the train noise. I watched the scene reflected in the train windows and hoped for the best. The officer looked away and was blissfully unaware of the knife only inches from his head as he leaned in to hear the guy’s excuse. He wasn’t putting any effort into whatever story he was telling the officer and barely looked up. 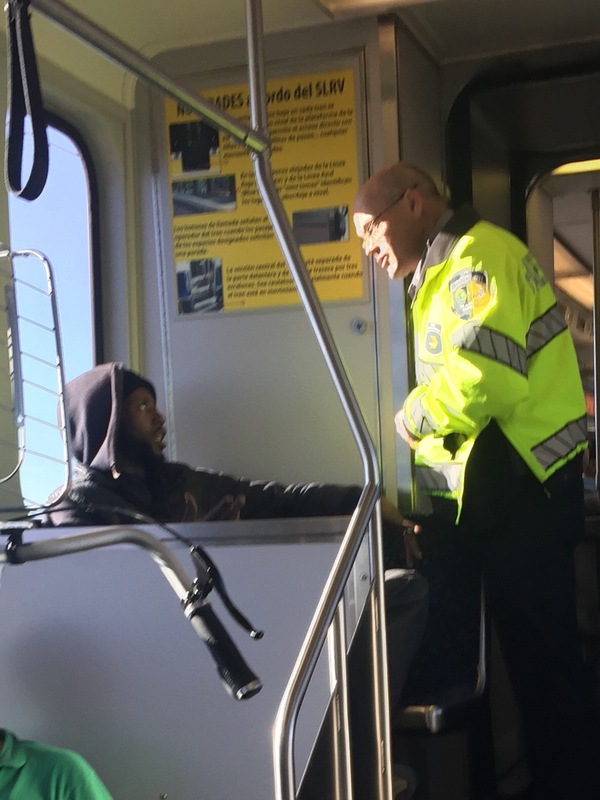 The fare officer didn’t bother to write him a citation, and he exited the train at the next stop where he immediately started following a teenage girl around the platform, knife still in hand. This is just a bad dude who is looking to do something bad to somebody soon. I had a vision in my head of me looking at his switchblade, and with my best crocodile Dundee accent saying “Now that’s a knife”. But some things only work in the movies.